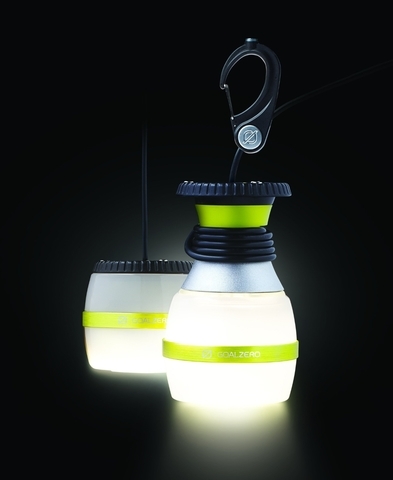 Goal Zero Light-A-Life 350 LED Light is a chainable and bright solar powered LED light that is suitable for outdoor adventures. 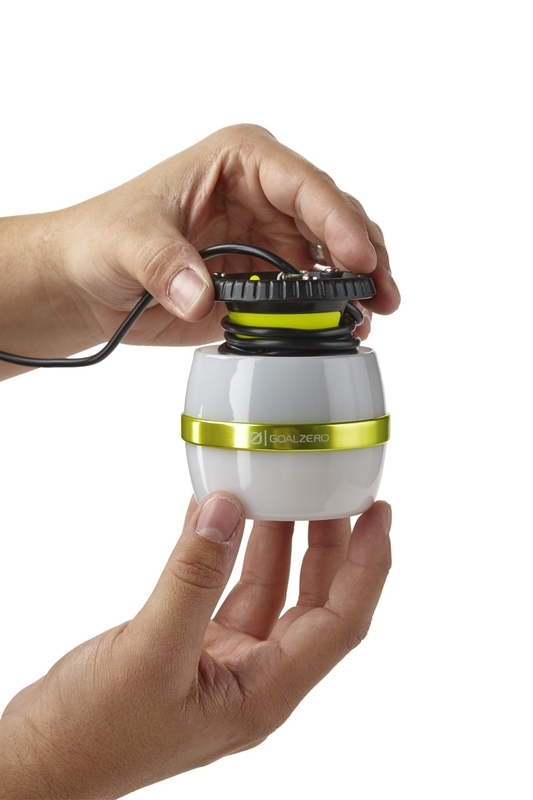 Power the Light-A-Life from the Venture 30, Sherpa Power Pack or Goal Zero Yeti Solar Generator. You can also power the Light-a-Life from a 12V car port using the included adapter. Ready for Outdoor Use: Unexpected rainstorms probably won't harm the light. 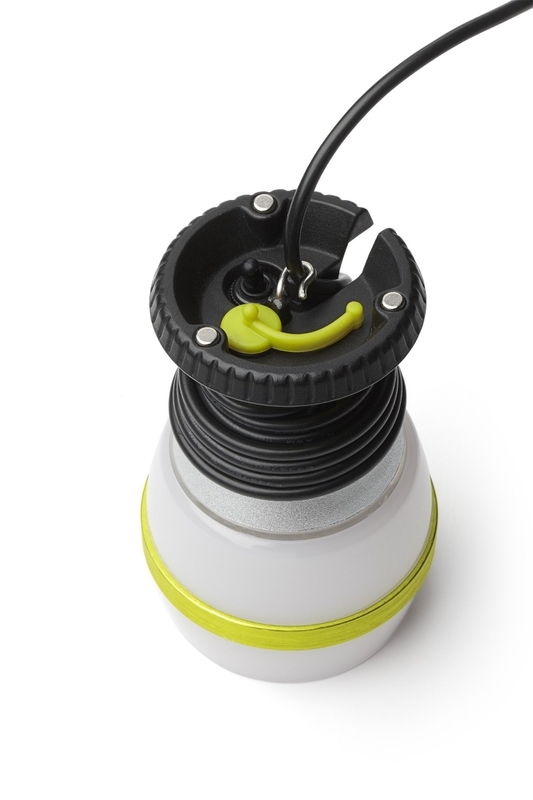 The Light-A-Life has been engineered to withstand the elements, including rain and snow. Although it's tough enough to withstand a storm, the Light-a-Life should not be submerged in water and all ports/plugs should be dry before turning on or chaining. You can chain up to 8 Light-a-Lifes together. Ensure each light is turned on prior to hanging. This allows you to turn the entire string on/off by controlling the first light in the series. If you own the previous Light-a-Life, they are chainable to this new version. Warning: While in use, the metal neck of the Light-a-Life will become hot to the touch. It is still safe to wrap the cable around the metal neck while in use. Area Light: For broad, bright light, use the Light-a-Life in its area light mode. This is a great mode for outdoor use and how the Light-a-Life is shipped in packaging. 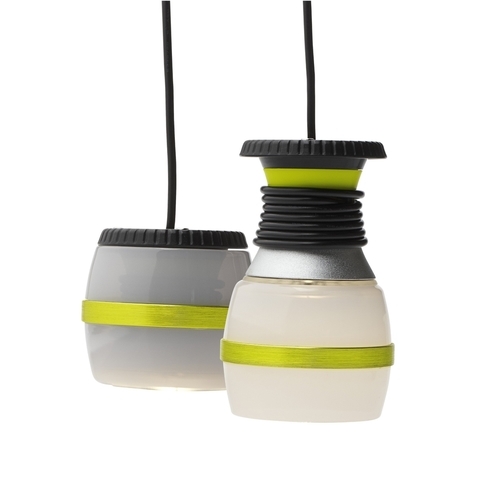 Lantern Light: For soft, ambient light, use the Light-a-Life in its lantern mode. This is a great mode for indoor use.